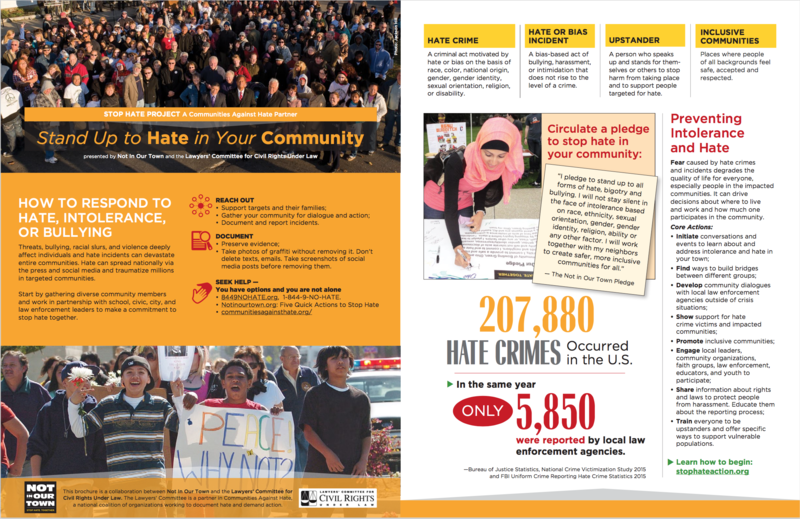 NIOT is proud to partner with Lawyers Committee For Civil Rights to provide information, guides and action ideas for schools and communities about how to stand up to hate. 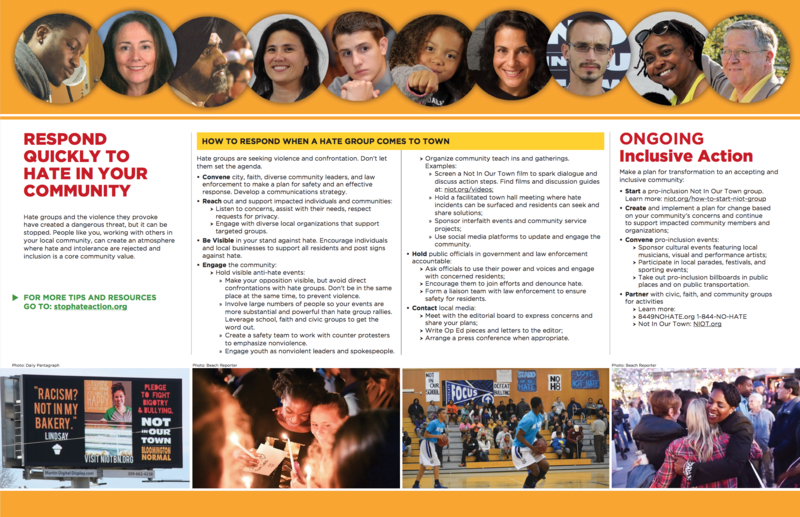 To view a larger version of the images below, simply click on each image. 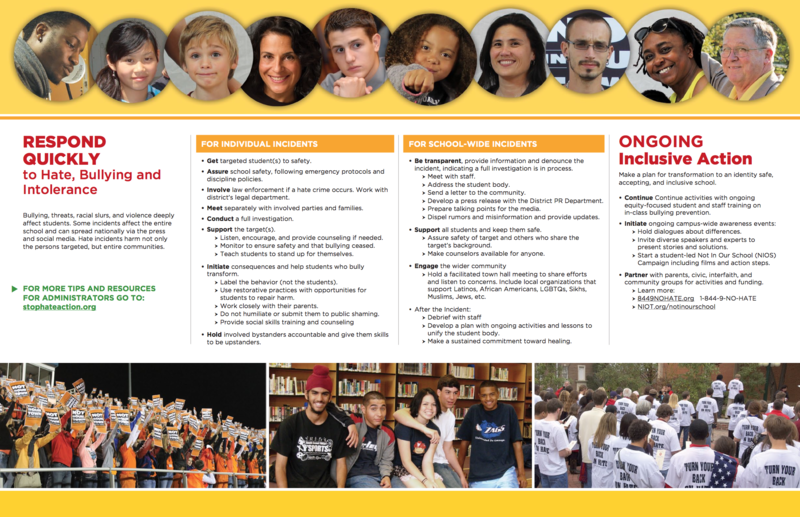 For a printable, foldable version of the school guide, click here. 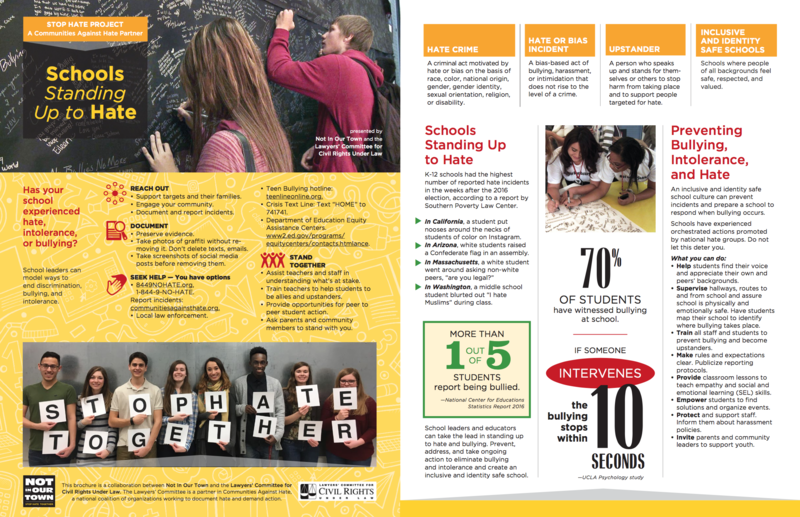 You can distribute this pamphlet to your school leaders or PTA. This pamphlet folds into a piece that can fit into a standard envelope.